Pollution in all its kinds is worrying citizens and authorities. Collecting and analyzing the most accurate information is one of the main aims of city councils to make the best decisions in order to improve their standards of living. 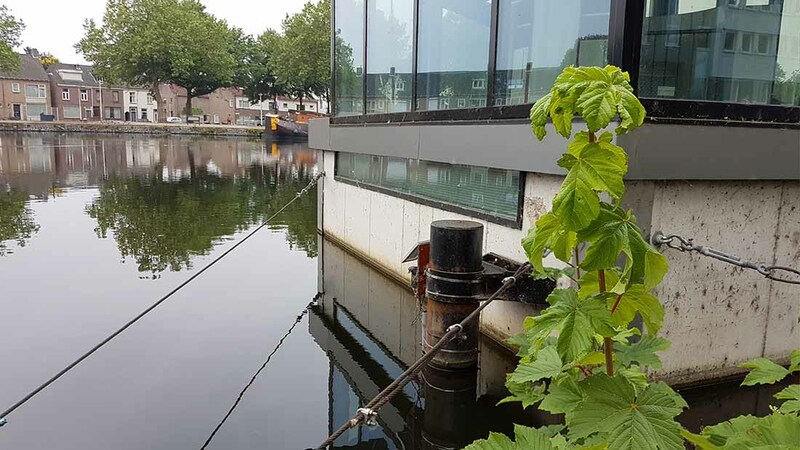 The Council of the Dutch city of Tilburg aimed at checking the environmental status related with water, air quality and noise pollution, has trusted Ericsson and Libelium to set up an IoT platform around the area of Piushaven, in the city centre, to control and manage the environmental data. Ericsson, a global leader in delivering ICT solutions, uniquely delivers IoT capabilities from world-leading connectivity to award-winning industrial-IoT applications. The company has partnered Libelium in order to deploy a complete wireless sensor network to measure different parameters related to air and water quality such as temperature, humidity, pressure, Carbon Dioxide (CO2) Nitric Dioxide (NO2), Ozone (O3) and Particle Matter (PM 1, PM 2.5, PM 10). Related to water quality, the project includes pH and conductivity probes. Apart from this data, the sound and ultrasound levels, the number of Bluetooth and WiFi devices can also be measured during special events in an especially crowded area of the Piushaven. 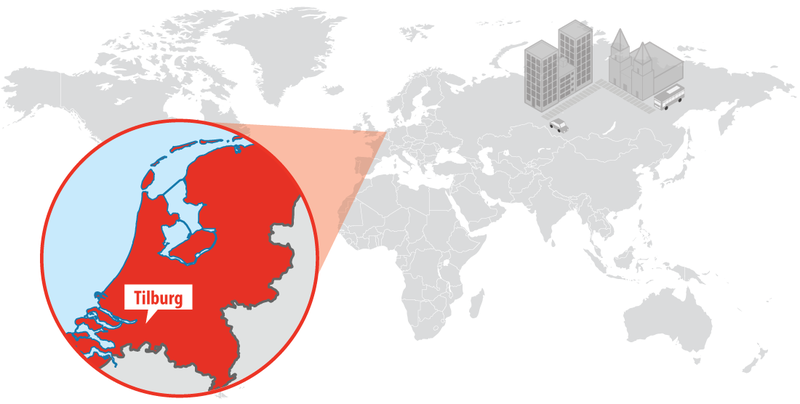 Libelium’s sensor network which has been deployed in Piushaven is composed of five Waspmote Plug & Sense! Smart Environment devices, one of them to measure temperature, humidity and pressure, three other sensors to measure Carbon Dioxide (CO2), Nitric Dioxide (NO2), Ozone (O3) and one more, a Dust Sensor, to measure the Particle Matter. Regarding water quality measurement, the network includes two Waspmote Plug & Sense! Smart Water sensors. One of them will collect information on water pH and the other one on Conductivity. In this case, three different calibration kits are included. In order to measure sound levels, two Waspmote Plug & Sense! 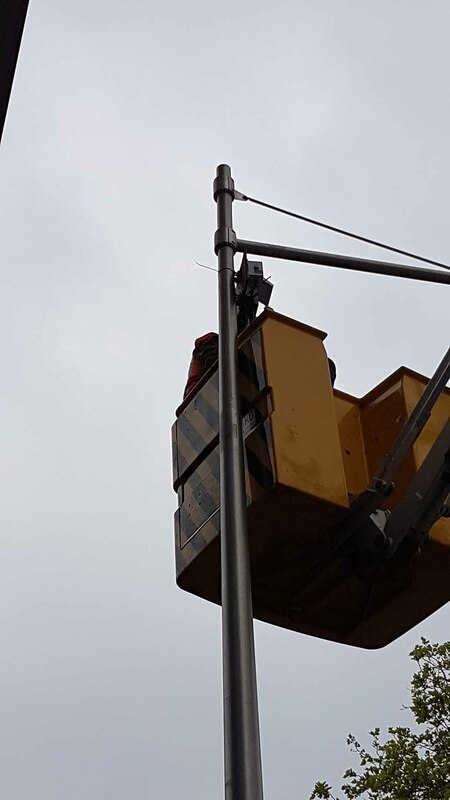 Smart City sensors were installed. One of them consists of a microphone and the other one is an Ultrasound probe. Libelium’s Noise Level Sensor measures the parameter LAeq (Equivalent Continuous Sound Level, with A-type weighting), in dBA units. LAeq is the most frequently used parameter for noise measurements. It is now used by most countries as the metric of choice for measuring the exposure of workers to noise, as there is no time constant and it correlates reasonably well to the effect of hearing damage risk. It is common practice to measure noise levels using the A-weighting setting built into all sound level meters. All sensors are equipped with a 6,600 mAh rechargeable battery which works on solar power provided by a solar panel of 7 V providing a maximum current of 500 mA. A Meshlium Gateway, the Meshlium Scanner 802.15.4-PRO-AP completes the network elements to detect the MAC address of smartphones, hands free and cars by scanning WiFi signals. The communication among the different elements of the network takes place according to different protocols. 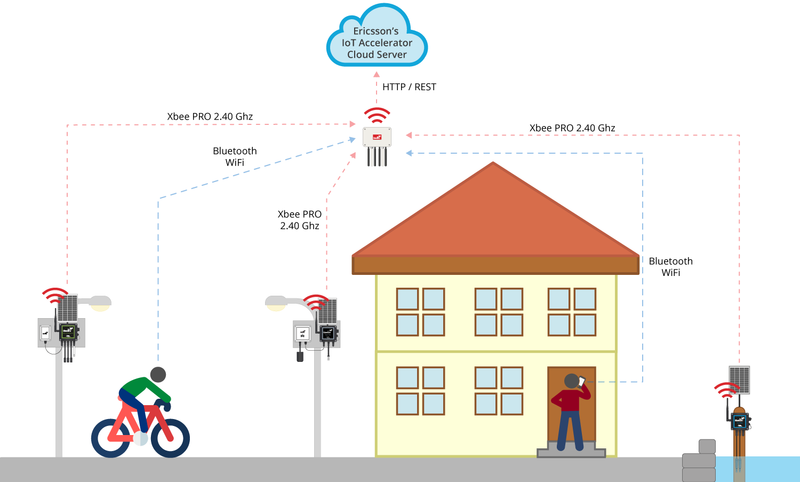 Communication between the devices and the IoT gateway is carried out by an XBee-PRO working in the 2.4 GHz band. Between the gateway and the cloud the communication to download data periodically goes through Wi-Fi and Ethernet connection to the local database. All the collected data is analyzed in the cloud using Ericsson’s IoT Accelerator platform and visualized through a dashboard made to fit customer needs. In fact, the main requirement is to check the environmental status of the water standards, the air quality and the sound levels measured to be visualized on a public website. The goal of the project is to provide an open platform where city environmental quality can be monitored. Via analytics tools, Ericsson’s IoT Accelerator platform combines all measured data so new insights can be revealed. The ultimate goal is to have a predictive system to forecast people movements passing by (by foot, bike or car) depending on, for instance, the weather conditions and to indicate what impact will produce to the sound levels on the zone. Besides, as the city celebrates many events in and on the water, the system also provides a continuous monitoring of the water quality to give more insight as input for those events (like diving, swimming and rowing races). Although periodical checking of air and water quality is relevant to citizens, the key point of this project is sound level monitoring, which can be used to comply to the legal thresholds. When complaints are received, the Council can glance at the real sound levels instead of having to go there to measure it. This is where the most remarkable part of return of investment lies as well as when big amounts of data are collected and can be correlated with each other. 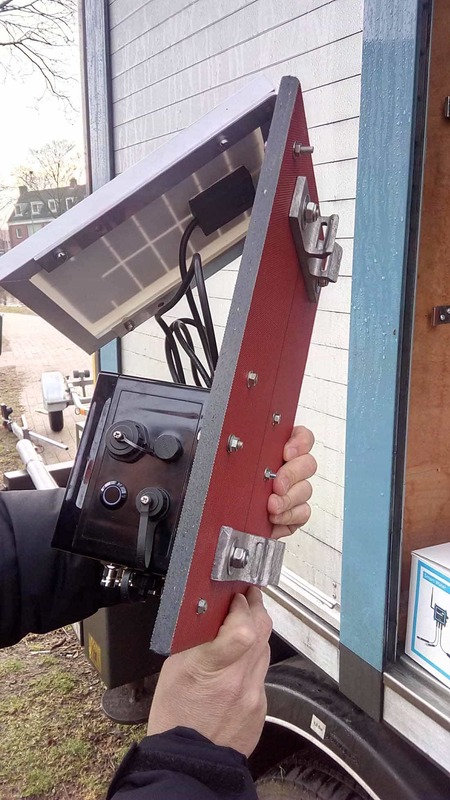 The City of Tilburg benefits from sensor data in two different ways: citizens and visitors can experience a clean and healthy environment and the Tilburg government provides access to real-time air and water quality data to demonstrates the commitment to their citizens. 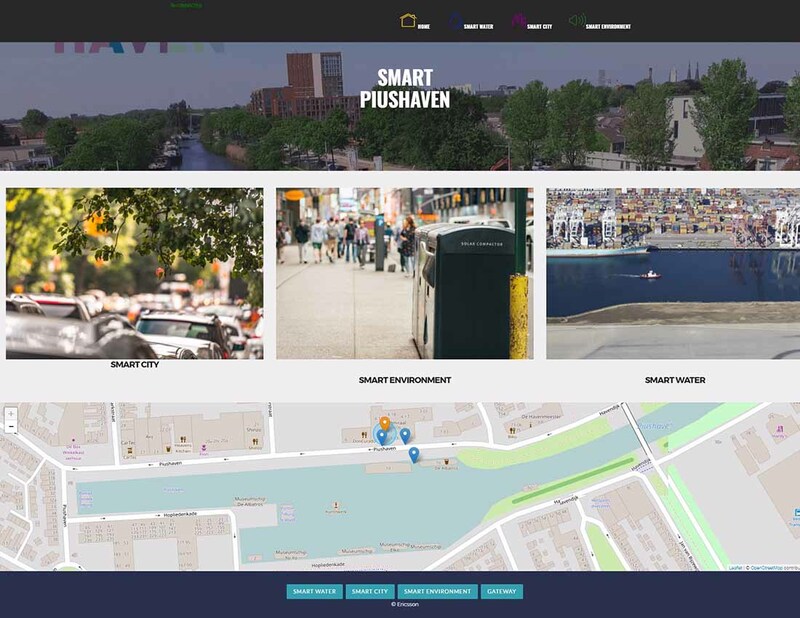 “Those living in the Piushaven neighborhood can stay informed about living conditions through the Smart Tilburg Dashboard. Additionally, Tilburg uses the data collected from sensors to create efficiencies in the way they work. Tilburg technicians no longer needs to be onsite in this neighborhood to test water and air quality or sound pollution. When complaints come in Tilburg Council can check the dashboard for real-time sound levels and with this data at their fingertips, can also reduce delays in response time”, Mark Damen, Innovation & IoT driver at Ericsson, states. “Quickness to find solutions and in sorting out technical questions in the most satisfying way to fulfill customers’ needs are the most important reasons for the choice of Libelium as a partner” according to Ericsson’s Engineer Explorer and Engineer, Sergio Abreu.